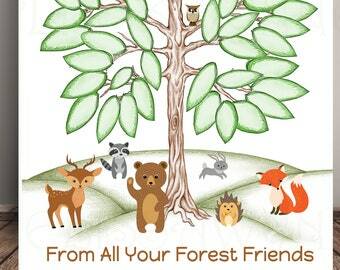 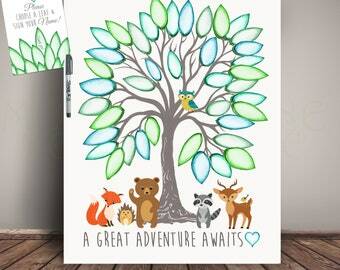 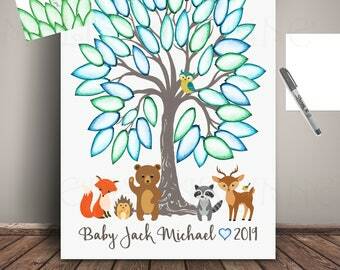 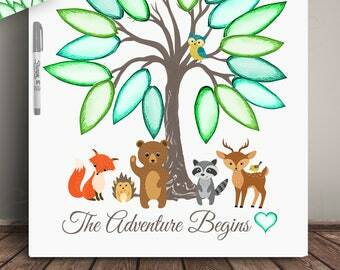 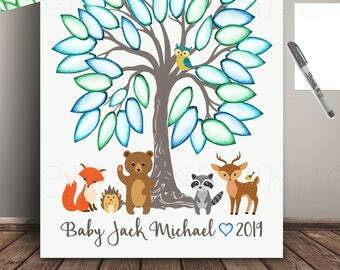 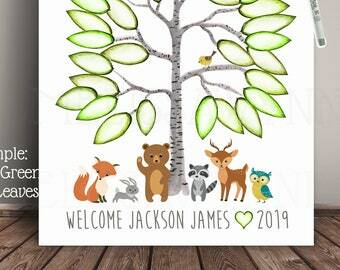 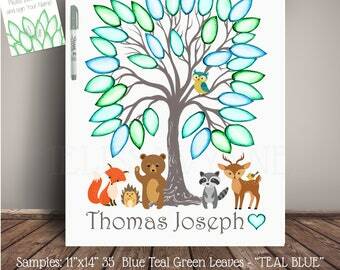 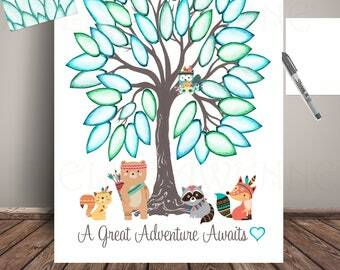 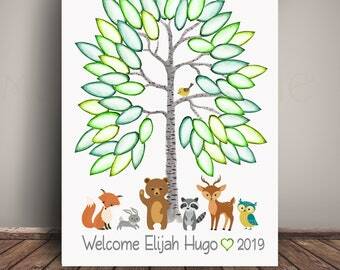 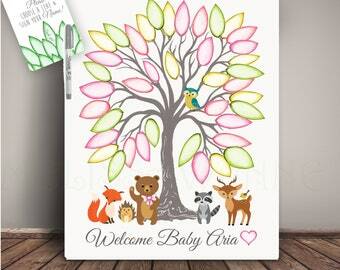 Woodland Baby Shower Guest Book Print. 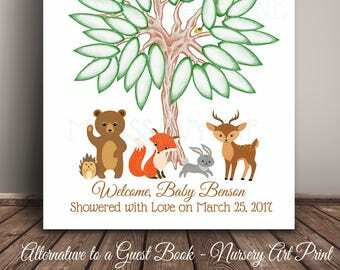 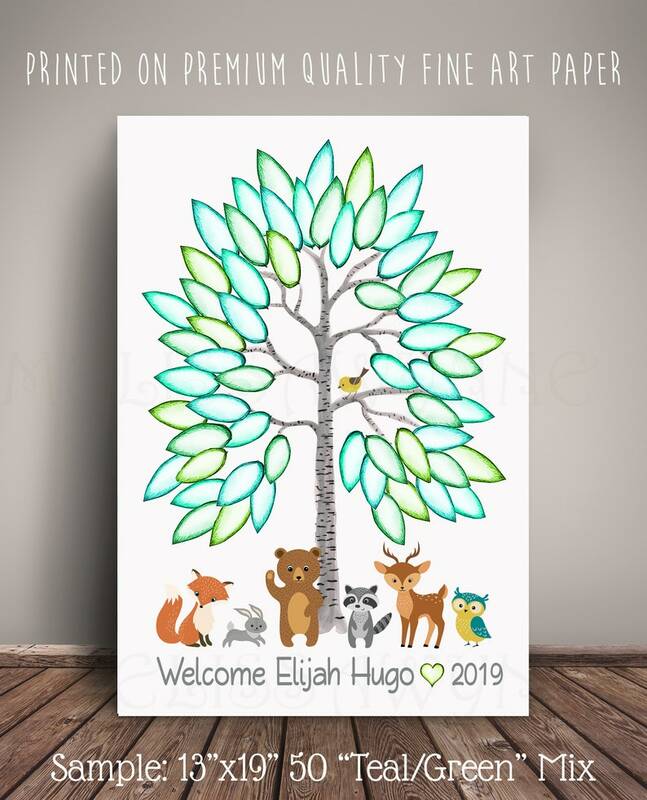 This Printed Fine Art Print guest book tree features Bear, hedgehog, deer, bunny, fox and bird sitting around a birch tree The birch tree is from my original watercolor painting. 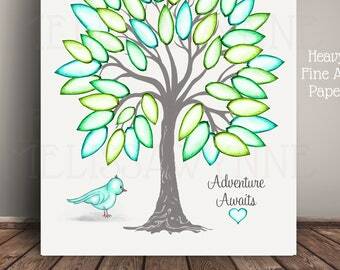 -(1) Piece of scrap paper to test your pens. 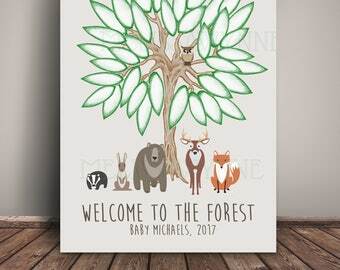 Takes 2-5 Days for production, then 1-3 days for Priority Shipping.